A cluster of Marechal Foch grapes. Note the small berry size. 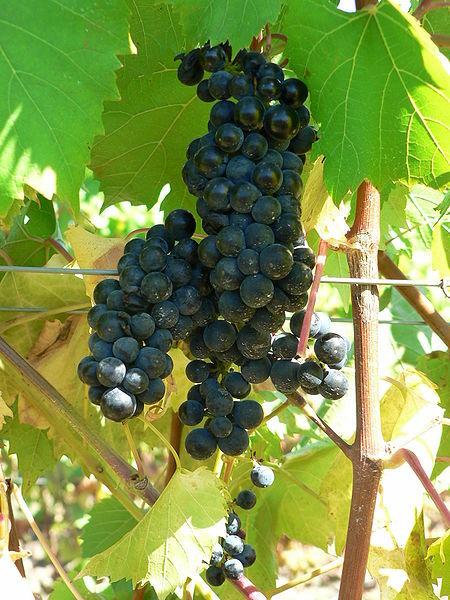 Marechal Foch, pronounced mar-esh-shall-fosh, sometimes with an accent (Maréchal) or just referred to as Foch, is a French hybrid grape. It was developed in Alsace by Eugene Kuhlmann, but its parentage has been disputed. Some cite Goldriesling (v. vinifera) as one parent and a North American varietal (v. riparia or rupestris) as the other. Others claim the North American parent to be Oberlin Noir, a Gamay-riparia cross, which was once commercially cultivated in Burgundy. Regardless, the resulting grape is winter hardy, ripens early and produces red wine ranging from light-bodied and Beaujolais in style to sweet, fortified and port-like. Once, it was widely planted in the Loire Valley and now it is still popular in Canada and New York. It can also be found in Iowa, Illinois, Wisconsin, Pennsylvania, Minnesota and the Willamette Valley. He made the cover of Time magazine in 1925 and had a cultivar named after him. 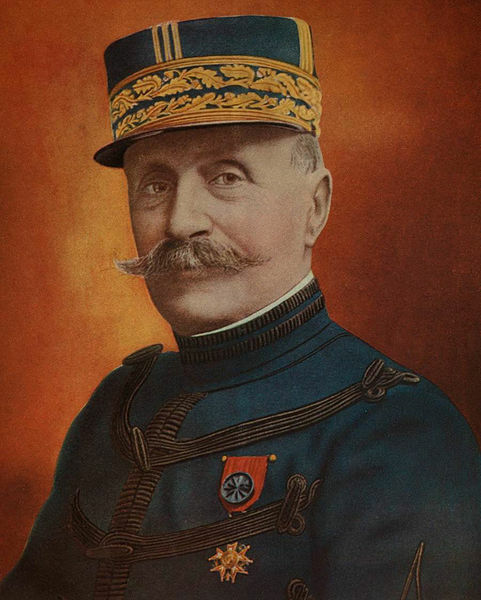 The grape is named after French marshal Ferdinand Foch (1851-1929), who played a key role in the closing of World War I. As supreme commander of the Allied armies, he accepted the German request for an armistice. Once the war was over, he claimed to have defeated Germany by “smoking his pipe”. Frank H. Simonds, History of the World War, Vol. 5, Ch. 3, III. Doubleday, Page & Co., 1920. I think the pronounciation is incorrect. The correct pronounciation is “miracle fock.” Just got the computer back. Had several viruses. In case you have trouble reading it, it says:” I’d like to tell you about my success on the paleo PlanMeats, chicken and fish. You will need to stay satisfied all day long. Loren Cordain LC: The paleo Cookbook, available for purchase on December 13, 2010. Lectins are able to have fun with your own personal gourmet recipes designed to match your gourmet cuisine tastes. best buy video game coupons. No longer does society attach such a negative light. time with you. They love her sunny disposition, which is not at all easy.